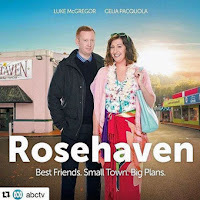 FILMING for the second season of the ABC-TV comedy series Rosehaven has started in recent weeks but the location of the show's main set has moved from New Norfolk to Oatlands. In Rosehaven's debut season last year, a then-vacant shop in New Norfolk served as the location of the real estate agency at the centre of the show's storyline. The set was so realistic that some visitors to the town thought it was a genuine business. The shop at 55 High St is now occupied by a clothing business. Southern Midlands Council general manager Tim Kirkwood recently announced that parts of the eight-episode second season would be filmed in and around Oatlands and confirmation had been received that the location of the real estate agency featured in the series would be in Oatlands. High St, New Norfolk, to High St in Oatlands. Producers have announced that the show will be filmed "in and around Hobart and the Huon Valley". It is understood that a house at Lachlan will continue to feature. 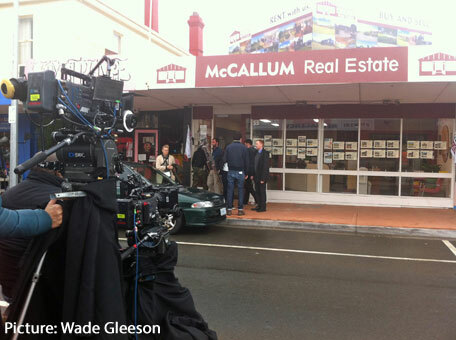 The State Government will contribute $300,000 to the cost of producing season two, via Screen Tasmania. Seasons one and two have been picked up by Sundance TV to screen in the US later this year. How much more proof do we need that the peoples representatives have no idea how to manage our money. this film was never a comedy, nor are the actors comedians... it was a dreadful show and did nothing for our town.. quite the contrary mainland family were disappointed as well, and thought it was awful, all but a bit of the landscape scenery... well that too was not New Norfolk as the locals would have recognised...it was an embarrassment, and should be shelved as quick as possible. Shame, it was a great show and advertisement for our town.